We are procuring the Air Screw Drivers & Drills from the reliable vendor base and appreciated for their durability and optimum performance. We procure these products from the trusted vendors after confirming their quality, corrosion resistance, dimension accuracy and reliability. 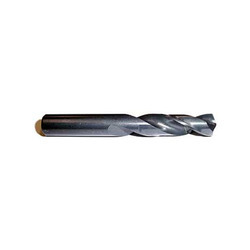 Organization is offering at market nominal prices a optimum range of Screw Machine Drill. Owing to the vast industry experience and in-depth knowledge of this domain, we are offering a huge collection of high-quality Solid Carbide Screw Machine Drills. Segmented core drills or core drill bits are mostly equipped with tool adaptors, outside thread R ½“ or inside thread M14. They are available from an outside diameter of 29mm up to 300mm. Custom-made products with special diameter may be produced at any time. 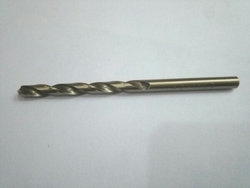 Drilling Spindles with Taper Roller Bearings / Angular Contact Bearing arrangement adopting Standard Tool Holders, ranging from sizes 20 to 100 are offered. Our standard spindles accept quick change Tool Holders. Single Spindle units have provision for Mobile Jig Plate for guiding tools. Mechanical and power drilling and rivetting can be comfortably done on the Bharat board sheets.